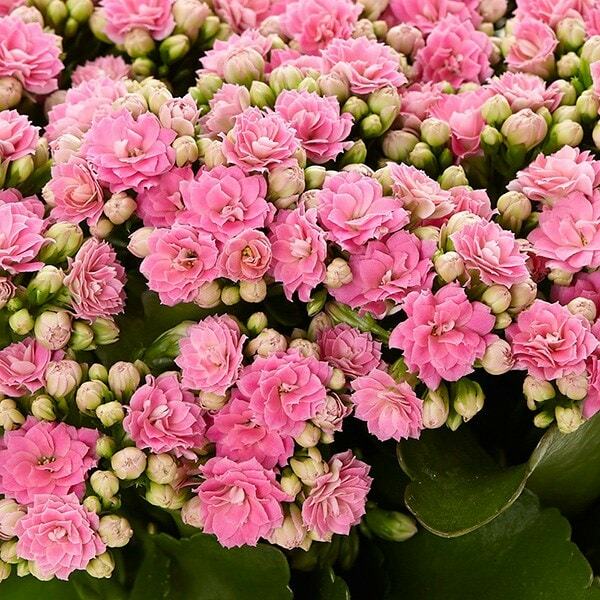 A pretty plant with rosebud like double pink flowers , and glossy green leaves that often has a long flowering period. 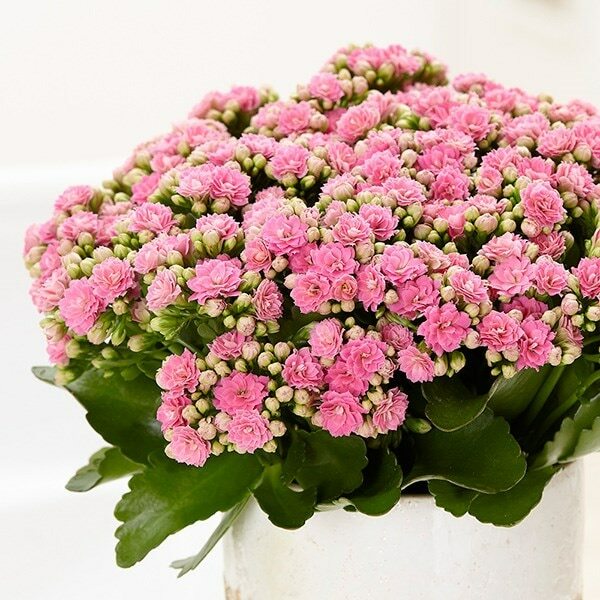 Compact and striking, this is an easy plant to care for and rewarding. Please note that the pot in the photograph is not supplied with the plant (which is sent out in a black plastic pot). They do however make excellent potted plants, and if you wish to pot yours up, we do have a wide range of pots on our website to choose from. Home care: Allow the compost to dry out between watering. Water throughly allowing any excess water to drain through into the bottom of the tray or pot cover, then discard any excess fluid. Never leave the plant sitting in water.These plants do well in temperatures between 12°C to 25°C, but keep them away from draughts. To prolong flowering cut off the dead flowers, and pinch out any leggy stems to keep the plant compact. Feed with a liquid fertiliser every 2-3weeks through the summer months.